Today is Daylight Savings Time which basically means we’re one step closer to spring break, family vacations, and the perfect warm-weather sundress. 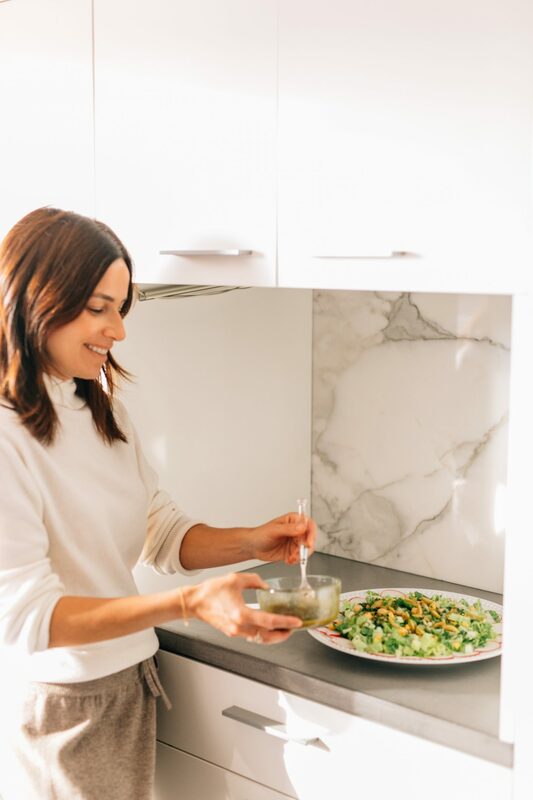 Check out a few of my favorite healthy and delicious salad recipes that are sure to make everyone in your house (including your waistline) happy! 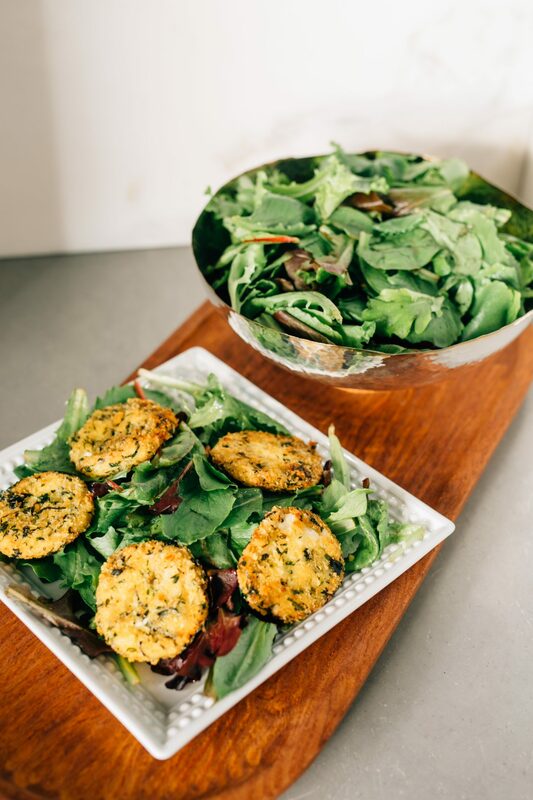 The Warm Goat Cheese Salad is simply perfection and a staple in our home. As a matter of fact, I prepare extra goat cheese patties and freeze them so that the salad is quick to assemble. The vinaigrette is delicious and can be used on any salad. I fell in love with The Kale Salad with Parmesan and Lemon at the Mark Hotel (Jean-Georges). I order it every time with out fail. Delighted to have found this recipe on line so I can enjoy it at home as well. Two new additions to my repertoire are the Jicama Salad with Lime Juice and Fresh Mint and a Lebanese Fattoush Salad. 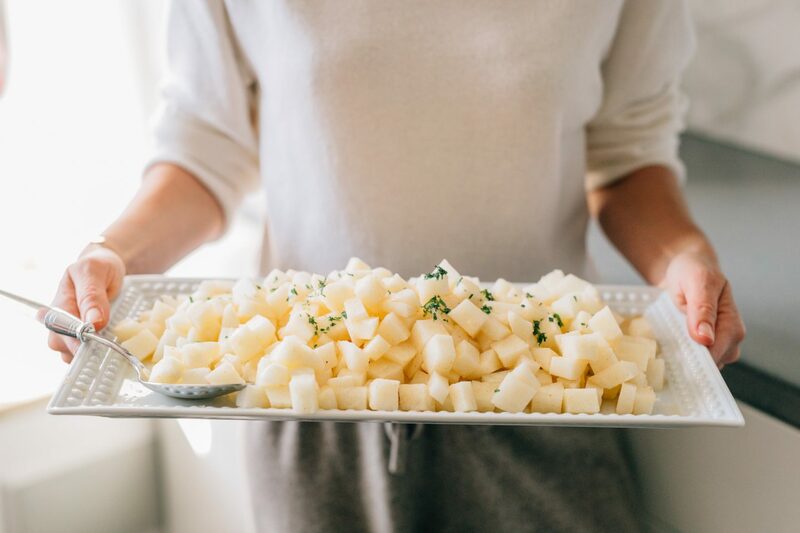 Jicama is one of my favorite vegetables as it adds a crunchy, sweet and refreshing flavor to salads. 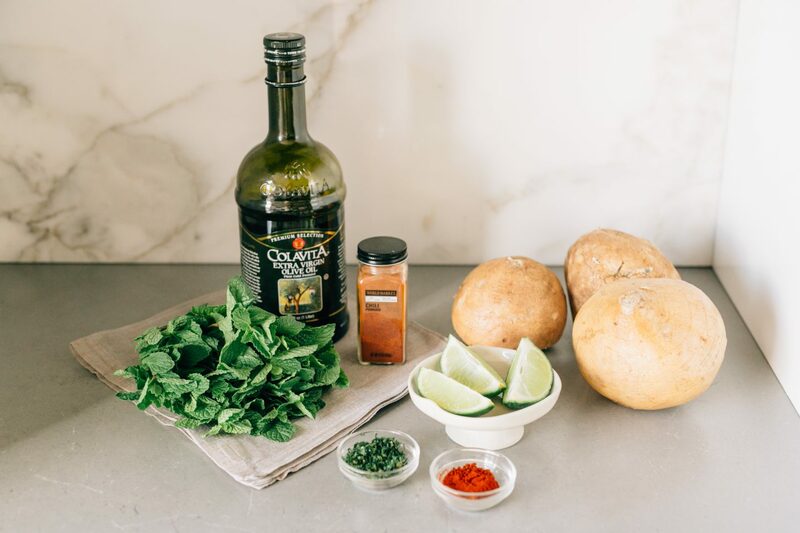 This Mexican inspired dish will be my warm weather go to. The fattoush salad is a unique take on the traditional recipe. There is no bread, yet the addition chickpeas and olives make this hearty version a meal in itself. 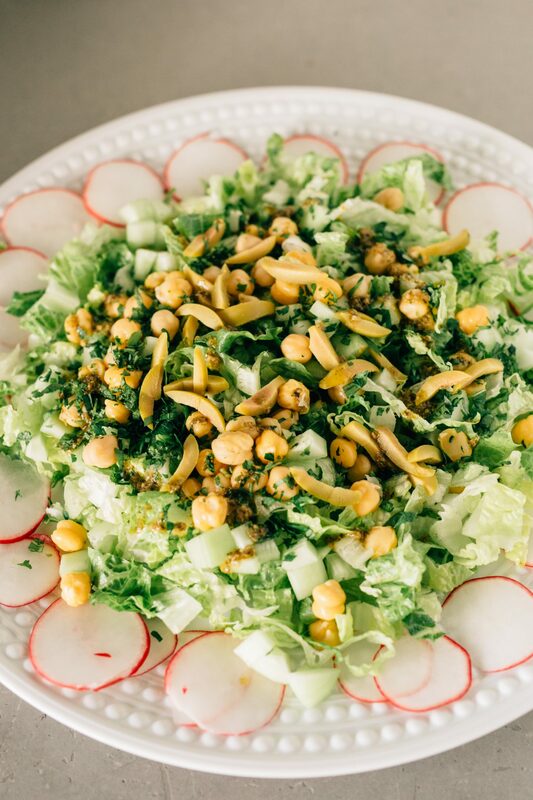 Would love to hear your favorite salad recipes! Mix first 6 ingredients in medium bowl to blend. Dip each cheese round into egg whites, turning to coat. Coat each with breadcrumb mixture. Transfer coated cheese rounds to plate. Cover with plastic wrap and refrigerate at least 1 hour and up to 8 hours. Heat 1 tablespoon olive oil in heavy large nonstick skillet over medium-high heat. Add cheese rounds and cook until golden and crisp, about 3 minutes per side. Transfer to plate. Place greens in a large bowl and toss with all but 2 tablespoons vinaigrette; season to taste with salt and pepper. Divide salad among 6 plates. Top each with 1 cheese round. Drizzle cheese rounds with remaining 2 tablespoons vinaigrette and serve. 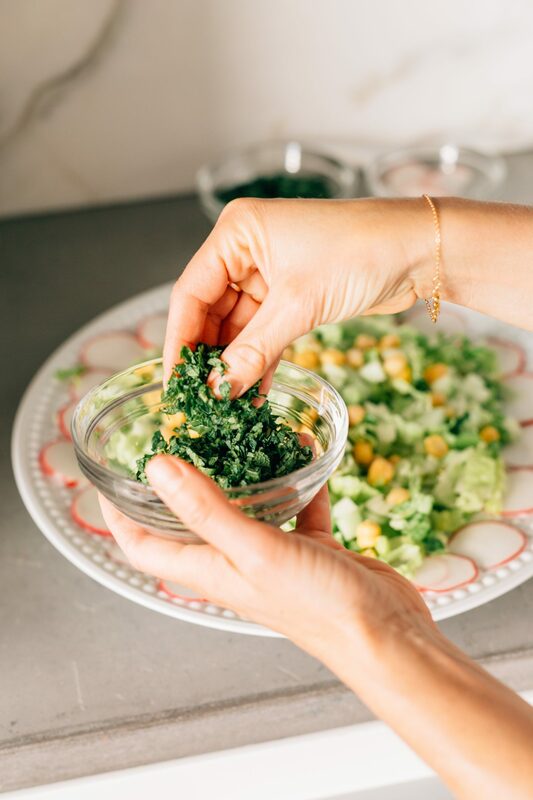 To serve, combine kale and mint in a large bowl with 1/2 cup dressing (more or less as desired). Toss to coat well and sit around 3 minutes. Transfer to a large serving bowl and top with croutons and sliced chilies. Serve immediately. 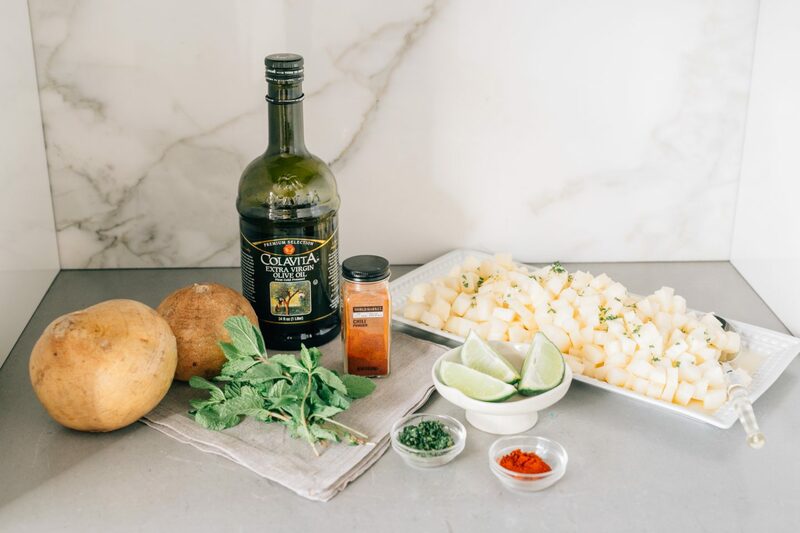 Combine jicama and oil in a bowl and toss well. Add lime juice, chile powder, and salt. 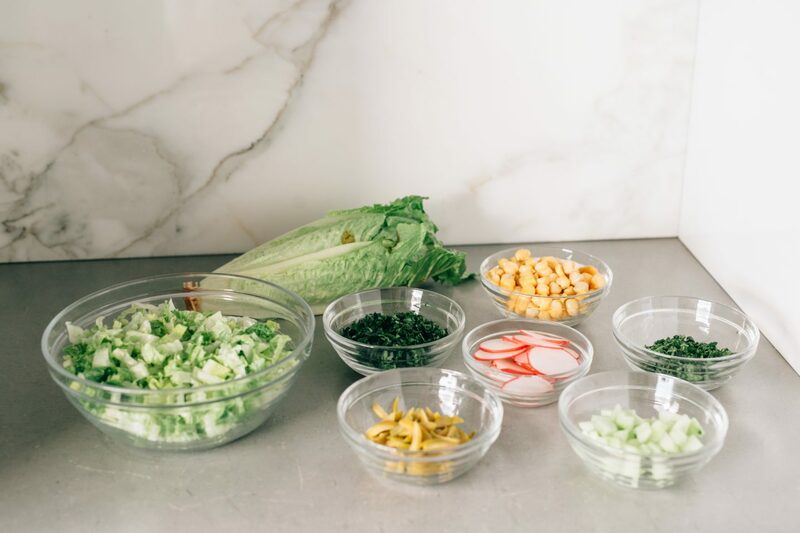 Assemble all vegetables into a large salad bowl. In small food processor or small bowl, blend all dressing ingredients, seasoning to taste. Dress salad and serve immediately.